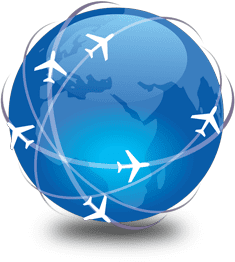 Flight Simulator City, FSC and the history of aviation in Foggia. 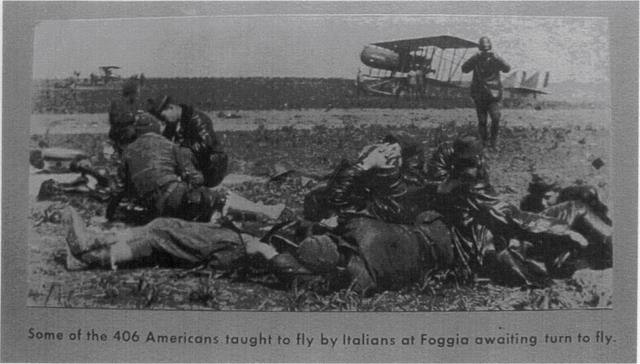 Perhaps not everyone knows that Foggia, a beautiful city in southern Italy, has a great tradition in flight training. With its famous military flying schools operating since 1915 at the airport "Gino Lisa" (ICAO: LIBF) hosted for decades aspiring pilots and instructors of Italian, Spanish, German and later English and American armies, representing a point of reference for teaching aeronautical in Europe. The airport is now a civil one, operating since the late 60's and currently under renovation and expansion. With these premises, in Foggia operates FLIGHT SIMULATOR CITY FLIGHT SIMULATOR CITY (http://www.flightsimulatorcity.it/), a structure driven by a team of enthusiasts and professionals which have recently purchased a FSC B737NG Monitor System (cod.921997) and thus becomes the first city in central-southern Italy to host a flight simulator and a team of expert instructors and airline pilots available to simmers and professionals. 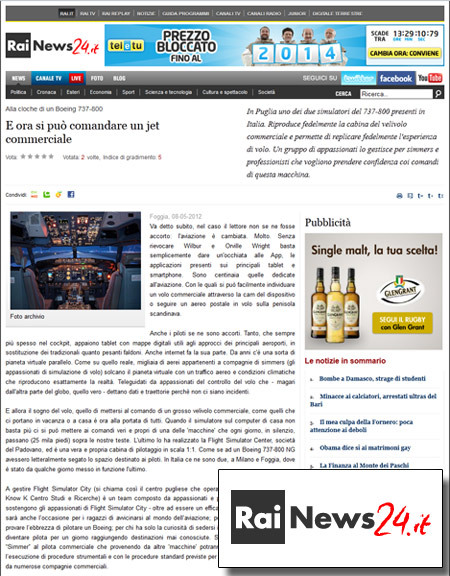 You can find more about Flight Simulator City and FSC B737NG in an article at RAINEWS24.IT (http://www.rainews24.rai.it/it/news.php?newsid=164929).